Will Israel kill US empire this week? The US empire, which might be more accurately termed the New World Order bankster empire, seems to be lashing out blindly as it enters its death spasms. In Ukraine – as in Syria, Libya, Iraq, Afghanistan and elsewhere – the Empire’s forces are in disarray. The loss of Crimea, and setbacks in Syria, are merely the latest of many debacles. The cause of this ongoing disaster: A series of self-inflicted wounds. The worst wounds have been self-inflicted by the Empire’s lunatic fringe: the Israel-centric neoconservatives. This group, which includes both Jewish chauvinists and Christian armageddonites, is burdened by fanatical devotion to an impossible project: The maintenance of a sustainable “Jewish state” in Occupied Palestine. Irrational attachment to Israel has lured the Empire into a series of disastrous attacks on Muslim-majority states. In 2008, economist Joseph Stiglitz estimated that the war on Iraq alone had cost the US more than $3 trillion. Since then, he has repeatedly revised that estimate upward. Throw in Afghanistan and other theaters of the anti-Muslim pro-Zionist crusade, and we are in the double-digit trillions. Bottom line: The Zio-con 9/11 wars have crashed the US and world economies. Alas, the answer is no. Though Obama has thus far resisted Israeli Prime Minister Netanyahu’s orders to attack Iran, the US is still doing the bidding of the Zionist bankster oligarchs who are the real power behind the Western throne. And those oligarchs – or at least the hawkish among them – are still pushing for world war. The Western bankster oligarchs love war because it forces governments to borrow gigantic sums of money at compound interest, condemning whole nations to perpetual debt slavery. The oligarch hawks and their front man Netanyahu, frustrated by US resistance to attacking Iran, are trying to start World War III in less direct fashion. They overthrew the legitimate government of Ukraine in a fascist coup d’état in order to ratchet up tensions between the US and Russia. 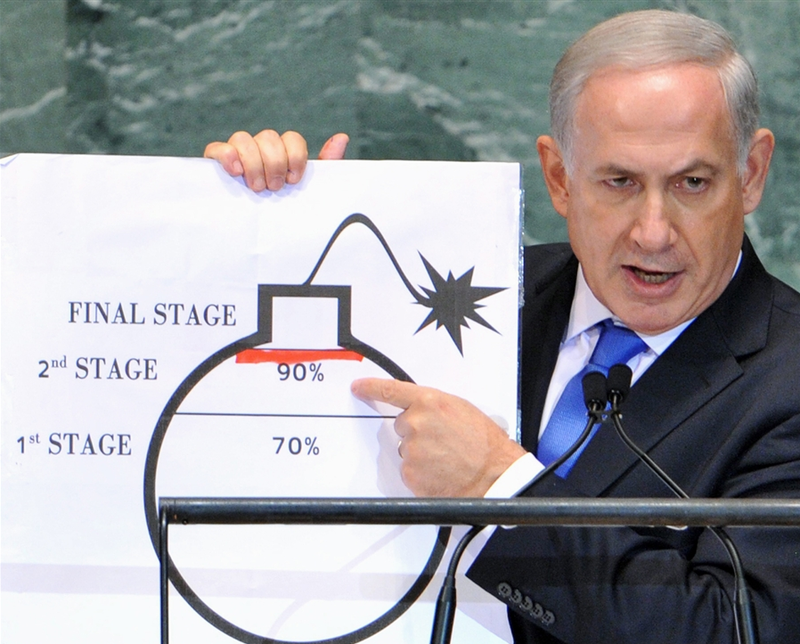 Now, with the great powers on hair-trigger alert, Netanyahu, who has spent $3 billion preparing a go-it-alone plan to attack Iran, can light the fuse of World War III any time he chooses. Now that Israel’s diplomatic facilities are closed, will the Israeli military also “launch an unprecedented strike”? 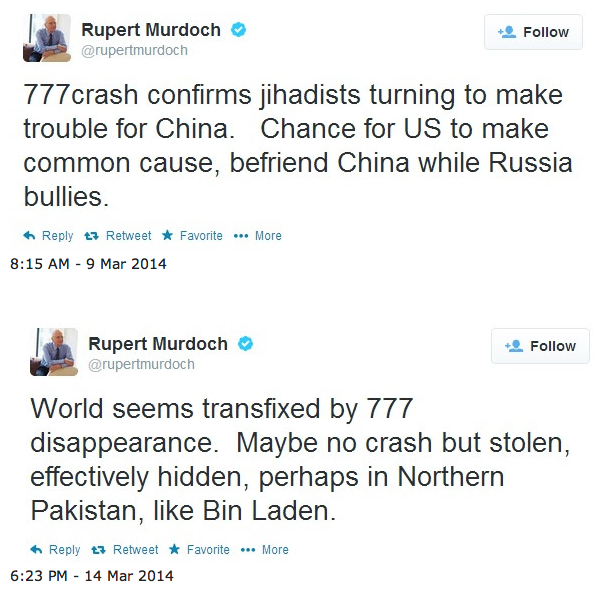 The Malaysian Flight 370 incident may also have been intended to serve another purpose: Inflame Western public opinion against Iran. Since the Malaysian plane disappeared, Fox News and other Zionist propaganda outlets have tried to blame “Iranian terrorists.” They have focused suspicion on two Iranian men who supposedly boarded Flight 370 on stolen passports. But now it has emerged that the story of the “two Iranian men” may be a fabrication. Sloppy photoshopping intended to incriminate Muslim patsies has been a regular feature of Zionist-sponsored false-flag terror attacks. One stunning example: The only purported security camera footage showing any of the 19 alleged 9/11 hijackers boarding any of the four supposed attack planes – a few frames attributed to security cameras at Washington, DC’s Dulles Airport – is a blatant forgery. Jay Kolar, whose essay proving that no Muslim hijackers were involved in 9/11 was issued by Europe’s leading scholarly publisher Elsevier, has fully exposed the fake “security videos” of alleged hijackers at Dulles Airport. These purported security videos, which represent only a tiny fraction of what would have been caught on film if hijackers had actually boarded the doomed planes at even one airport, have no authentication codes and no date and time stamps. Their shadows prove they were taken in the afternoon, not early morning when the hijackers supposedly boarded. They include zoom-ins and other forms of manual camera manipulation, proving they were not taken by a fixed security camera. They feature “hijackers” who were alive after 9/11. And they feature an imposter posing as the alleged hijacker Hani Hanjour. Another notorious false-flag, the 7/7/2005 London bombings, was also blamed on photoshopped Muslim patsies. 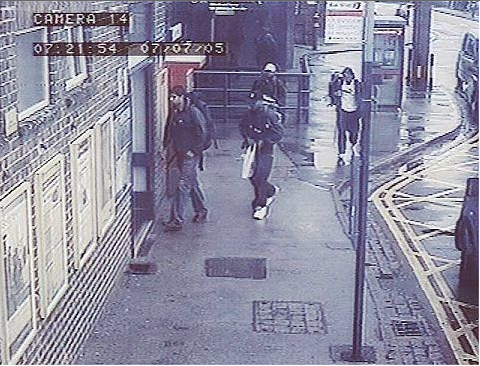 The best-known 7/7 photo-forgery is an alleged security camera image of patsy Mohammed Siddique Khan – the only photo supposedly placing him in London that day – showing a railing behind him passing in front of his head. Dr. Nick Kollerstrom’s book Terror on the Tube analyzes the 7/7 photographs implicating the four Muslim patsies and shows that this “evidence” consists of photoshopped hoaxes. Does the apparent photoshopping of the two Iranians boarding Malaysian Flight 370 have an innocent explanation? Or was this yet another attempt to incite wars against Israel’s enemies? If Netanyahu attacks Iran and succeeds in dragging the US and Russia into the war, this week could witness not just the end of the US empire, but the beginning of the end of civilization. I hope Barbara Honegger is wrong. But even if the Empire’s lunatic fringe is stymied this week, they will have many future opportunities to wreak havoc – unless relatively rational Western leaders, assuming that any exist, decide to expose the neocons’ gravest misdeeds and put an end to their reckless warmongering. Breaking: Mike Pence Exposed in Indiana Pedogate. ( 5,058 )Timothy Holmseth has filed with Minnesota Court.